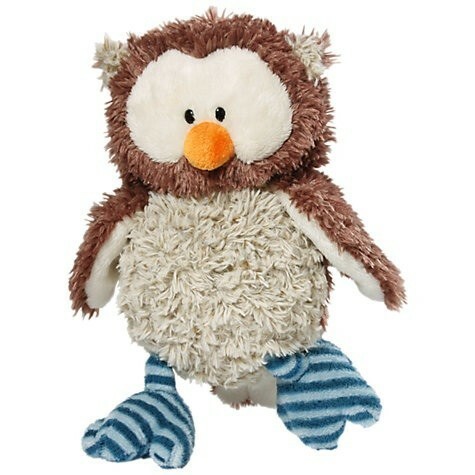 Oscar the owl is super cute, soft and cuddly, with his fluffy feathers and thick colourful socks. Complete with flexible legs, smooth wings and orange beak, Oscar makes a great companion for little ones. Machine washable at 30°C. Suitable from birth.